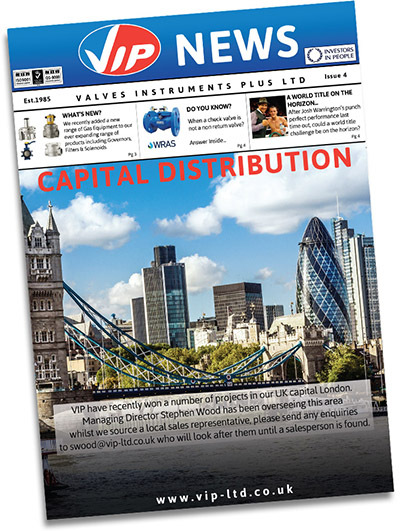 Valves Instruments Plus are pleased to offer our customers a regular free newsletter which outlines the latest news, products, offers and activities from the VIP Group Of Companies. Previous issues can be found below, with new issues being added as and when they are published. All these files are in .pdf format. If you cannot view these files, please download the free .pdf reader software from this link. Hard copies of any of the newsletters below are available on request - if you would like some sending to you, please contact us. 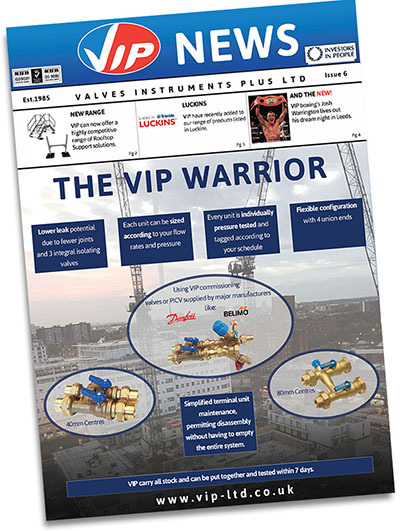 The revolutionary VIP 'Warrior' Manifold takes centre stage in the latest edition of our popular free newsletter. Already installed in hundreds of locations throughout the UK and beyond, this innovative product is fast becoming one of our most popular items. 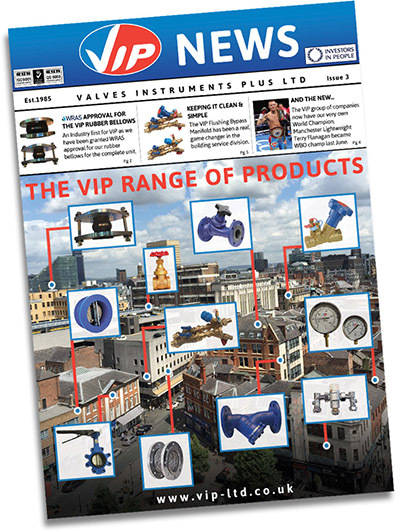 Other new items highlighted in this issue include our new Gas Butterfly Valves, a range of Rooftop Support Solutions from Sikla, our new Chemical Dosing Pots, and the innovative Emmeti Multi-Layer range. Click here to read Issue 6. 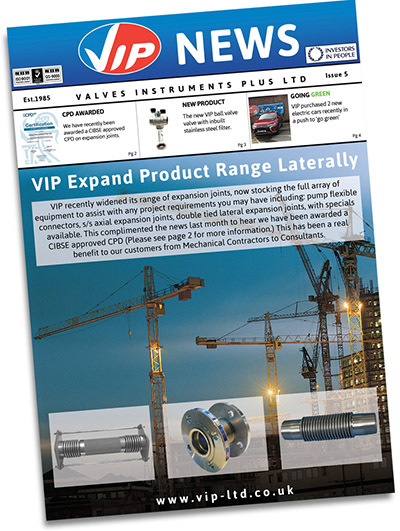 Showcasing our highly sought after range of Expansion Products, our Expansion Design Service and our new CISBE Approved CPD, the 5th issue of our popular newsletter also features info on new additions to the VIP product portfolio - the new VIP Ball Valve With Inbuilt Strainer and our new Delabie range. In this issue we also celebrate 20 years of ISO 9001 accreditation, we examine the Socla range of products, and unveil 'The Brain' - the smart choice for water temperature control. Click here to read Issue 5. The fourth edition of our company newsletter sees VIP Ltd expanding into London and throughout the whole country. Our new company website is previewed, and our superb in-house safety valve setting service is discussed. We shine a light on our Pressure Gauge Calibration facility and our new range of high-quality Gas Equipment. All this and more - click here to read Issue 4. Featuring a spotlight on the VIP Brand of high-quality engineering products, the third installment of our newsletter also focuses on our company celebrating 30 years in the industry. Our new range of WRAS Approved Rubber Bellows are showcased, our Luckins profile is featured, our revolutionary Flushing Bypass Manifold is highlighted, plus much more besides. Click here to read Issue 3.